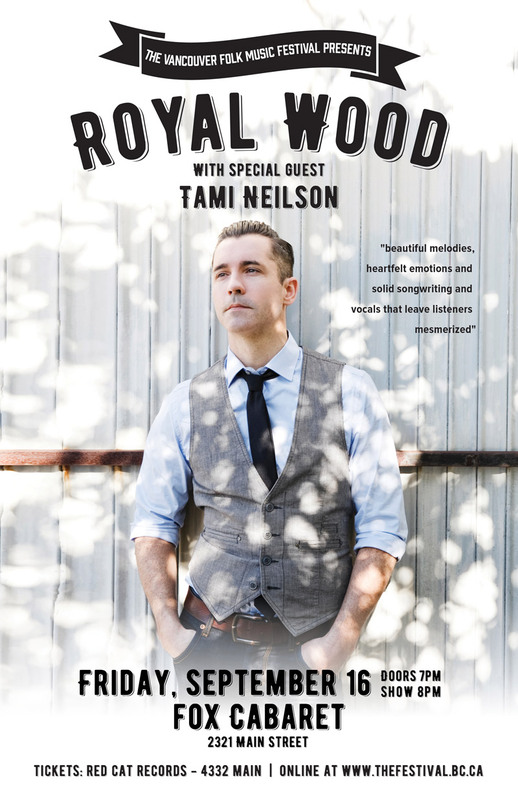 Royal Wood is one of Canada’s most accomplished singer/songwriters, producers, arrangers, and multi-instrumentalists that has long brought beautiful melodies, heartfelt emotion and an ethereal like quality to his art. Since he wrote, arranged, performed and recorded his debut release, The Milkweed EP, in 2003, he’s been nominated for two Junos, released five full-length albums and a second EP, toured North America (multiple times) and Europe (more than once), racked up both an impressive amount of critical attention and a deeply devoted fanbase. His latest release, "Ghost Light" marks an immense change is his life and his artistic path, delivering more and more of a letting go to the forefront of his music. The record seizes his sincerest passion for creativity and imagination. It showcases a deeper understanding of where his journey began and where he wants to take it. "Ghost Light" has given a new meaning to the path in Wood’s career, where unabashed creativity and performance will continue to shine and cultivate his trajectory – no matter where it leads. Opener Tami Neilson, born in Canada and now living in New Zealand, is "a red hot honky tonker, somewhere between Patsy Cline and Wanda Jackson with perhaps just a little bit of Peggy Lee sophistication".